DMG MORI is underlining its leading internal position in the additive manufacturing of metal components at formnext with a full range of products for complete industrial machining and continuous process chains from CAM to CNC. Open system for individual adaptation of all process parameters and free choice of material supplier. 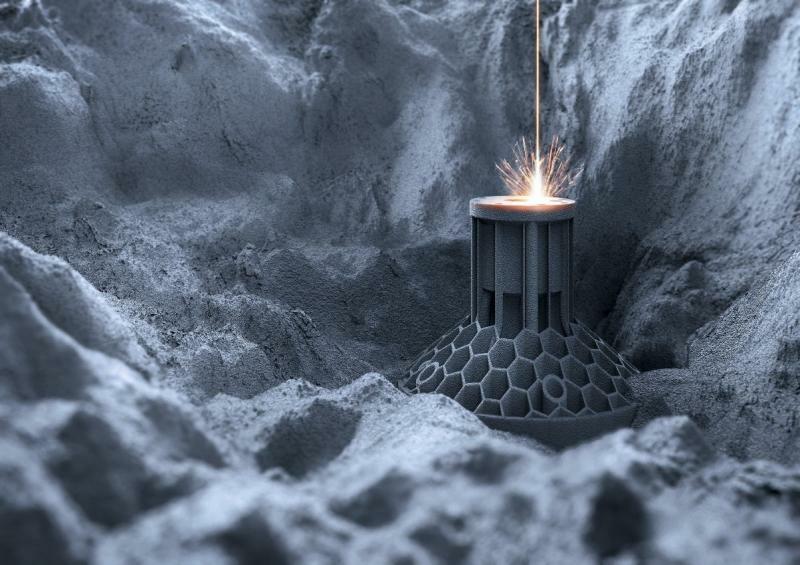 With more than 20 years of experience in ADDITIVE MANUFACTURING of metal components, DMG MORI represents innovative manufacturing technologies, global proximity to customers and worldwide service. At this year’s formnext in Frankfurt am Main from 13th to 16th November 2018, the technology leader will once again be presenting its range of products with four complete process chains for additive procedures with the powder nozzle and in the powder bed. 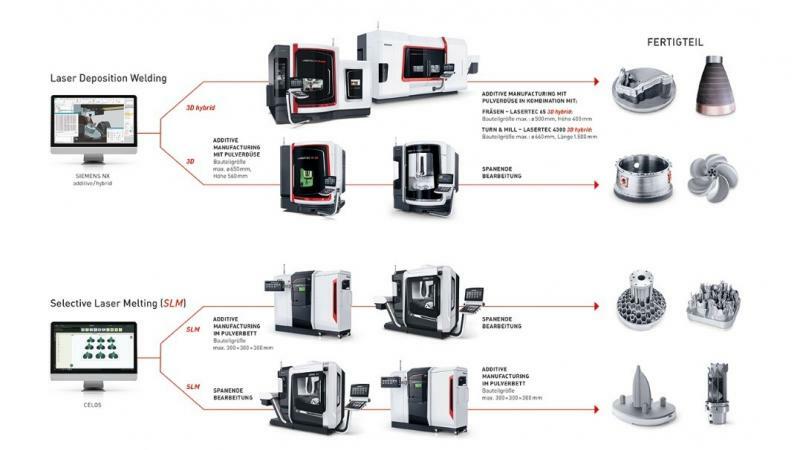 DMG MORI combines its LASERTEC 3D hybrid, LASERTEC 3D and the LASERTEC SLM model series with the machining centres from its diversified range of machines for this complete range of products. 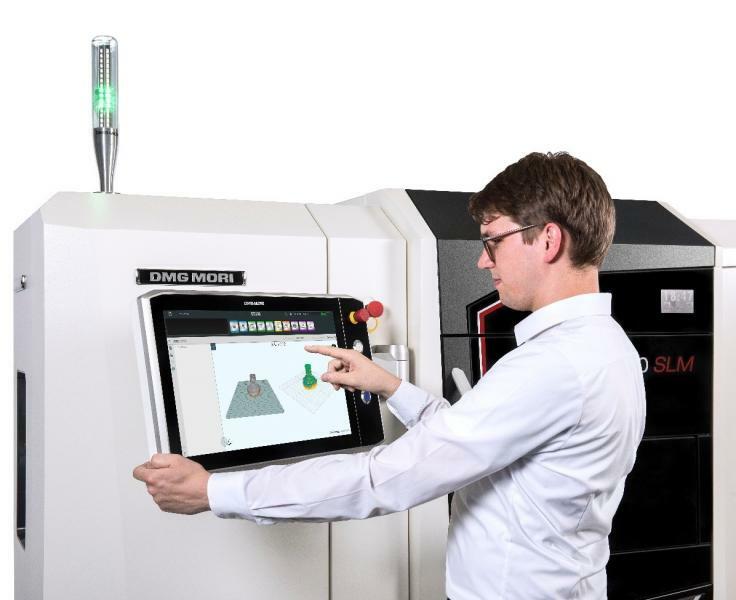 The range of services is rounded off by a comprehensive consulting service, including the AM quick check in the ADDITIVE MANUFACTURING Excellence Center in Bielefeld. 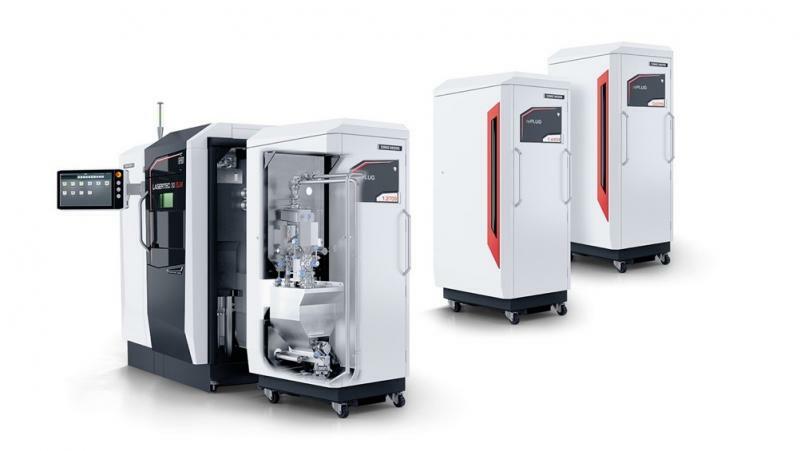 In the area of Laser Deposition Welding with the powder nozzle, the LASERTEC 65 3D hybrid combines additive manufacturing and conventional machining in a single setup. It is designed for 5-axis simultaneous machining of components with a diameter of up to 500 x 400 mm. 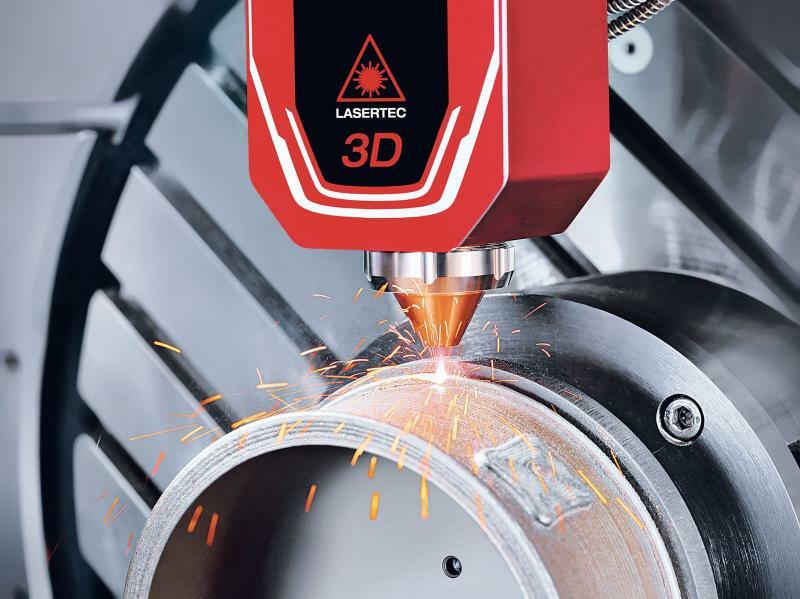 Designed for the complete machining of demanding geometries, the LASERTEC 3D hybrid model series makes it possible to switch flexibly between laser deposition welding using the powder nozzle and milling/cutting operations. Multi-material applications and graded materials in a component can also be manufactured using the powder nozzle technology. Two process chains can be realised with the LASERTEC 30 SLM via the basic characteristics: On the one hand, users can finish additively manufactured workpieces on a milling machine such as the 5-axis DMU 50 3rd generation with a high degree of surface quality. On the other hand, the models in the LASERTEC SLM model series can finish bases that have been milled beforehand without any support structures whatsoever in the powder bed. The rePLUG quick-change powder module gives you order planning flexibility and a unique utilisation quota of the LASERTEC SLM systems. It puts the user in a position to extend the range of materials to any extent. The contamination-free switch between different materials takes less than 2 hours. Other highlights are the high degree of process autonomy because of the powerful duo-filter system (filter change without process interruption) and the large powder reservoir (no manual topping up required during the process). DMG MORI optionally provides an additional powder module with rePLUG reSEARCH which has been specially developed for material and process parameter development on the series production system. As a continuous software solution for CAM programming and machine control, CELOS rounds off the process chains with the LASERTEC SLM model series. Thanks to the coordinated and uniform user interface, components can be programmed externally and the data immediately transferred to the machine within an extremely short time – regardless of their complexity. Thanks to the efficient flow of information and intuitive operation, CELOS guarantees optimum procedures in the pre-processing and finishing of additively manufactured components. This makes individual adaptation of all machine settings and process parameters possible, and you also have an unrestricted choice of material manufacturer. The DMG MORI Academy supports its customers with a comprehensive range of consultancy in the implementation of their additive manufacturing process chain. Among other things, this includes the AM Quick Check, for the perfect introduction to the world of ADDITIVE MANUFACTURING. Starting from the identification of suitable applications, the DMG MORI Academy supports the user in all aspects – from re-engineering the components to the initial small series production runs. The DMG MORI experts also support the introduction of technology in the form of training courses for management, design and manufacturing. 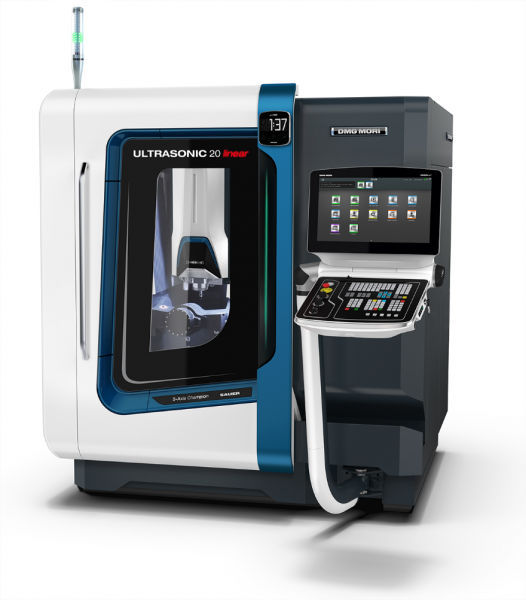 For many years now DMG MORI has been offering high-performance machine tools with ULTRASONIC technology for the high-precision 5-axis machining of complex workpieces made from advanced materials. This series has taken over a completely new class with the ULTRASONIC 20 linear. The innovations include optional spindle speeds of up to 60,000 rpm, more powerful drive motors, a smaller footprint plus CELOS with apps that have been specially developed for the ULTRASONIC. Users from the optics, precision engineering and watch areas, the medical area and the semiconductor industry will benefit from these in the future. The most important technological characteristics of the ULTRASONIC 20 linear include a completely digitally controlled ULTRASONIC generator and the ULTRASONIC actuators with higher output and speeds of up to 50,000 rpm. The tool holders with adapted actuator technology can be easily and fully automatically replaced in the milling spindle. Each of these holders is equipped with piezo elements, which are activated via a program-controlled induction system with high frequency between 20 and 50 kHz. The original tool rotation is thus superimposed with additional tool movement with defined amplitude in longitudinal direction. The resulting deflection of the cutting edges or grinding areas is controlled via the NC program and can be within a range of up to 10 µm or even higher. During grinding, drilling and milling, these superimposed vibrations have a direct, positive impact on the process forces, the removal volume and the tool service life and result in reduced costs and higher productivity.